SugarHouse Casino celebrated becoming the first licensed sports book in the Philadelphia area- this saturday. 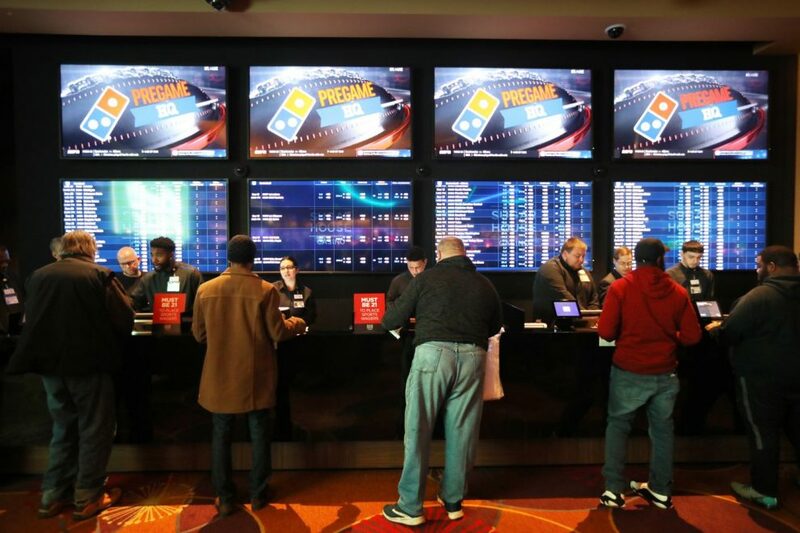 The first bets were placed in a temporary sports betting area that the casino has set up as it prepares to open up a new permanent location. With Six betting windows, six kiosks you can bet on Major League and college sports and there’s many more things to come. “Basketball, football, hockey and baseball and we are looking at what other sports we could add, looking at the demographics of Philadelphia and what they want,” said General Manager Cheryl Duhon. The supreme Court ruling legalized sports betting across the country in May. Each state had to come up with their own set of laws surrounding the game. Pennsylvania is in competition with New Jersey. “To bring these tax revenues that sports betting is going to generate to this side of the river here in Philadelphia.” said Evan Davis VP general counsel SugarHouse Casino. If you don’t like the flashing light or loud noises in the casinos. SugarHouse already has an online platform to place bets in New Jersey.